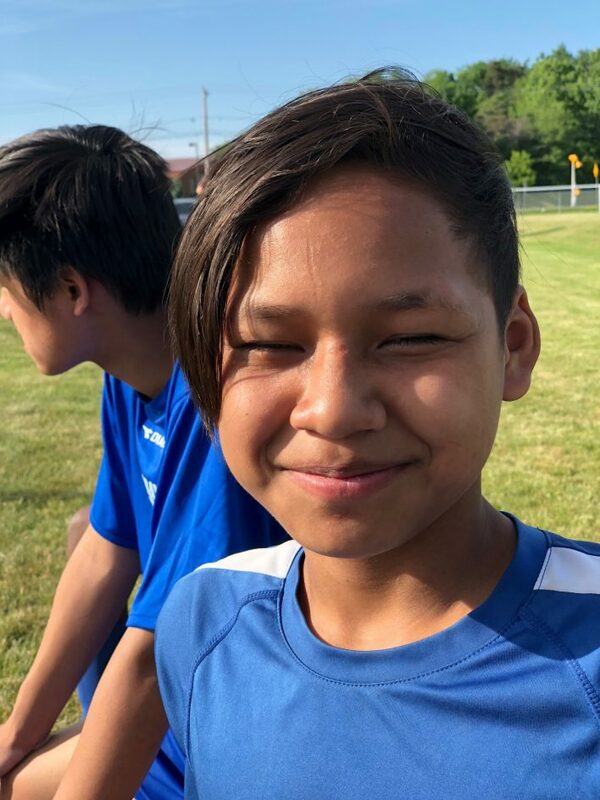 Klue is from Thailand, he is the youngest member of the refugee soccer team, and doesn’t get to play as much as he would liked. We were both sitting on the bench yesterday cheering on the refugee soccer team yesterday when I challenged him to thumb wrestle, thumb wrestling is my sport, my only sport. I thought I would win easily, and I was wrong. He has strong fingers and fast thumb, and he beat me fair and square the first time. I won the second time. We split another two games, he won the final game. Maybe I’m just getting older, but he is very fast and very strong, my days as a champion thumb wrestler may be over. If so, I am happy to cede the title to Klue, he is a kind, funny and strong young man.